The NESPA s.r.o. company was established in 2001. Since then it has been progressing and working successfully. Our products are marked by the protected trademark “CLAIRENE”® and they are very popular not only in Slovakia but also abroad (Austria). We are one of the leading producers of spa waffles in Slovakia. The products are characterized by a shifty packing, great taste and variety of fillings. Moreover, each backside of the packing presents particular spas with photography such as Rajecké Teplice, Lúčky, Nimnica, Bardejovské kúpele, Dudince, Piešťany, Sliač, Kováčová, Vyšné Ružbachy, Vysoké Tatry etc. 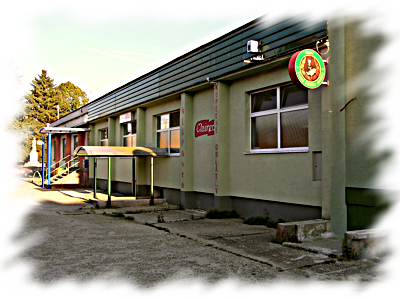 as well as thermal swimming pools like Podhájska, Veľký Meder, Štúrovo etc. It is possible to change the photography if our customer wishes to. It is very nice present from the visited places. The NESPA Company is following the HACCP system in accordance with the food code. In 2009, the company underwent successful audit which was made by State Food and Veterinary Administration. We are producing spa waffles marked “DE LUXE” with 9 different flavors of fillings and different shapes: heart shaped (6 flavors of fillings), classic-sintered (5 flavors of fillings), cutted waffels (4 flavors of fillings), unfilled waffels with cheese and sheep cheese flavor and christmas flavors. Novelty in products are Slovak waffles for whole Slovakia and Bratislava‘s waffles for Bratislava. We are planning to make a new flavored fillings such as punch or cappucino. We perform post-warranty replacement of products. The products are chemical additives free! More information can be found section Products. If interested, contact us. Všetko dobré v roku 2010! Spoločnosť Nespa s.r.o. ďakujem našim zákazníkom, odberateľom a obchodným partnerom za ich priazeň v roku 2009 a tešíme sa, že zostanete verní značke Clairene® aj naďalej. Ďakujeme Vám!